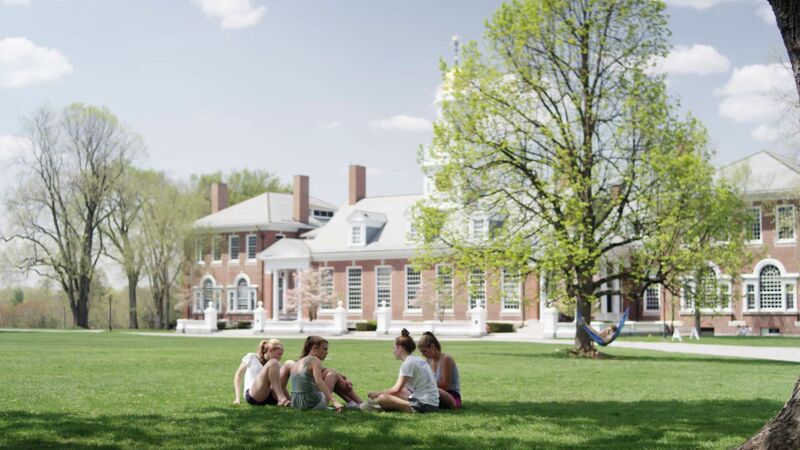 Groton is both a school and a home. At home, you do all kinds of things besides studying. That’s true here on the Circle, too. Classes are important, but so is fun. Most of the time fun is unscheduled. You’ll hang out with friends on the Circle or during a meal, take a spontaneous walk to the river, or listen to music in a dorm room. But Groton also builds fun right into the routine. Imagine having fun at the Headmaster’s House. 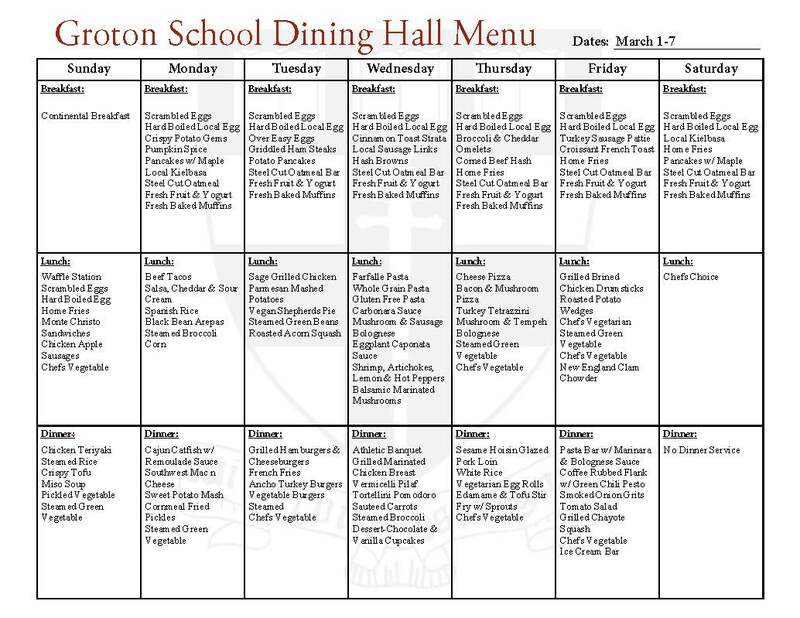 It happens every Thursday night at Groton, in a longtime tradition that we call Parlor. Parlor is a casual get-together with students, Headmaster Maqubela, and Mrs. Maqubela. It’s a time to hang with friends, play ping pong and board games, have a snack, and take a break in a warm and inviting home. From 8:00–9:00 p.m., either Second, Third, Fourth, or Fifth Form students drop by—the forms rotate each week. Sixth Formers attend every week, from 9:00–10:00 p.m. At Parlor, students relax, get to know the headmaster, and eat some amazing cookies. Surprise Holiday is one of Groton’s most beloved traditions, a welcome break in the routine every term. It’s fun to see how senior prefects share the news...they get pretty creative. Students have emerged from morning Chapel to find green streamers, green golf carts, green cupcakes, even a small horse wearing green. One constant is the green jacket, worn for decades by Groton headmasters to signal Surprise Holiday. 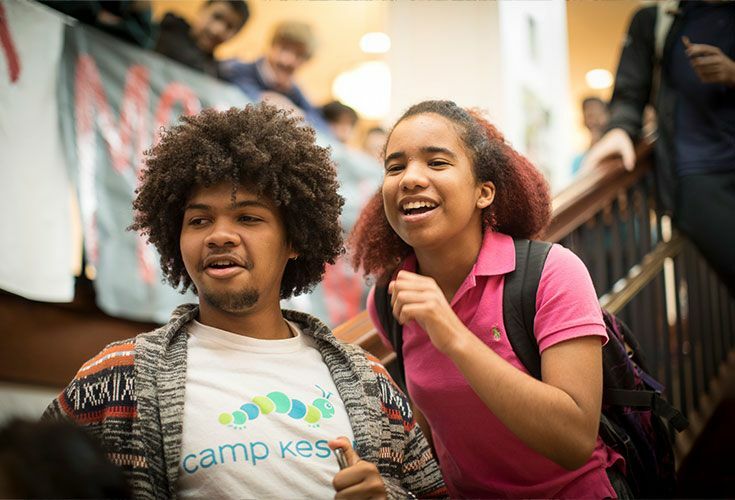 After students whoop with delight, many take buses to Cambridge, Boston, or a nearby mall. At the end of May, it’s time for dorm spirit and friendly competition. 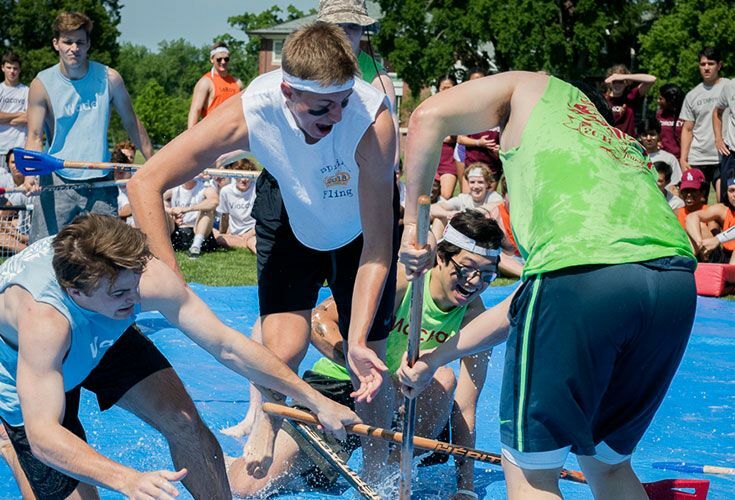 Students wear T-shirts representing their dorms and play games such as dodge ball, tug-of-war, hockey on soap suds, and a range of silly contests. The winning dorm earns a special pizza party, and some bragging rights. Bounce, joust, and bungee. Picnic on burgers and pizza. Climb on inflatable games that dot the Circle with color. CircleFest is Groton’s spring carnival. This newer tradition encourages students to take a break from homework, AP tests, and weekend routines and to adopt a few new goals: to relax, to enjoy, to play. Circlefest typically ends with a movie chosen by students, projected on a giant outdoor screen. 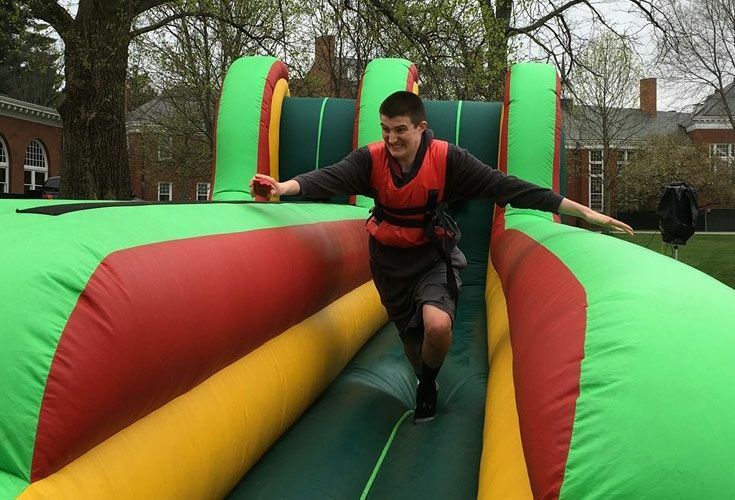 The springtime event connects campus families, students, faculty, and staff through several hours of pure fun. 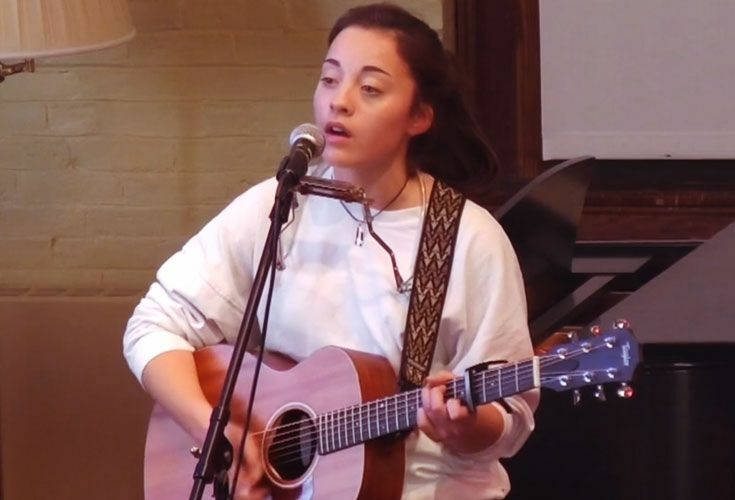 There are all kinds of performances at Groton—from music and dance recitals to concerts and Chapel postludes. But students started open mic nights, and they remain the most laid-back opportunity for our campus performers. Anyone can perform, and many students find open mics the perfect place to gain confidence before an audience. It’s no wonder: there couldn’t be a more supportive group. They’ll laugh with a novice comedian, applaud the inexperienced singer, and cheer loudly for the brave young rapper, the haiku artist, the yodeler. It doesn’t matter: open mic is open to anything. No wonder it’s become a favorite evening pastime. Saturday nights should never be boring: Groton offers a ton of weekend activities. Some you might expect—a dance, a campus play, a game night, a movie on the Circle. But how about…go-cart racing, a haunted corn maze, or a trampoline park? Nearly every weekend offers several fun excursions off campus. On campus, the Saturday night schedule has included stargazing with a science teacher, a holiday concert in the Forum, and chocolate-making (in 3D-printed molds) in our Fab Lab. There are also faculty-driven “date-night taxis,” as well as shuttles to nearby shops, a movie theater, and a supermarket.